Join a group of club members at the Dogwood District Fall Meeting. Check in at the meeting location, Sandy Springs Library, is 9:30-10:30. The cost to attend this meeting is $40. 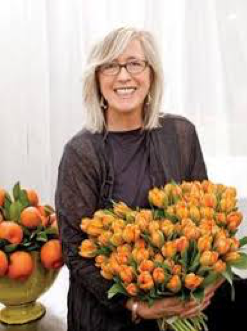 Margot Shaw, the editor in chief of flower magazinehas loved flowers since she could “pick a pocketful of posies” but didn’t realize her true passion for them until just a few years ago. A self-named “flower girl,” Margot attributes her knowledge and appreciation of floral design to her former boss and mentor Sybil Sylvester, an esteemed florist in Birmingham, Alabama who has taught Margot the (garden) tools of the trade for the past four years. While working for Sybil in her downtown shop, Margot quickly learned to cultivate her aesthetic of floral design and nurture her appreciation for their healing properties. However, after four years of working in the industry, she couldn’t find a magazine on news stands for fresh flower enthusiasts. 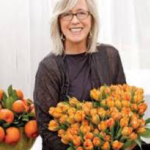 After further investigation with friends and colleagues, Margot realized the strong demand for a quarterly publication that would educate and inspire flower enthusiasts while showcasing the many talented floral professionals within this thriving, diverse industry. Both a patron and participant in the arts, Margot studied Art History and Sociology at Hollins College in Virginia, Interior Design at the University of Texas and has an ongoing interest in photography. floweris her first foray into magazine publishing. Margot is a native of Birmingham, Alabama who resides in her hometown with husband Gates. She has three daughters, Hansell, Westcott and Elizabeth, two cats, Minuit and Jacques, and two dogs, Lancelot and Luce.